Young children learn best by experimenting with their environment through hands-on activities and play, which is why learning centers are such a vital part of the preschool classroom. Using learning centers to give children the hands-on experiences and play opportunities they need is important, but there are a variety of factors that influence which learning centers would work best for your space, how you should set them up, and the materials you should include in each. To help you identify those factors and make the process of setting up your preschool centers a little easier, we've included a list of learning centers you can choose to incorporate in your preschool classroom. Be sure to click on each center's "How to Set Up..." page for more information about size and location guidelines, storage solutions, furniture options, and a list of suggested materials for each center. An art learning center serves as a great creative outlet for kids to help express their emotions and ideas. Children can experience different textures and use different materials as they create their works of art. Fine motor skill development and improved hand-eye coordination are other ways an art learning center will benefit the children in your care. Children can improve their motor skills, practice problem solving, and learn to work with their classmates while playing in a block learning center. 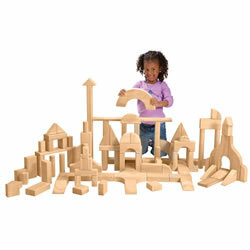 Block play enables children to explore their creative side by building unique structures and communities with blocks, block people, and block animals. A block learning center will also teach children about basic engineering and architecture concepts. A literacy center is a must-have in any preschool classroom or ECE environment. Having a quiet area to practice their reading, writing, and comprehension skills will help children express ideas, explore their interests, and learn about the world around them. Including a literacy center in your classroom will help foster skills in children that will influence their overall success in school and in life. A technology learning center provides plenty of great educational resources that can be utilized to teach children new subjects in a fun and interactive way. 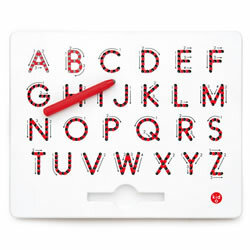 You can also teach children how to appropriately use technology to find a variety of information about the world. Integrating a technology learning center in your preschool classroom will ensure that children are digitally literate and can use technology to accomplish various tasks. Including a dramatic play learning center in your classroom will give children opportunities to role play as adults in everyday situations and a variety of careers. Dramatic play encourages creativity, self-expression, and knowledge of the community. 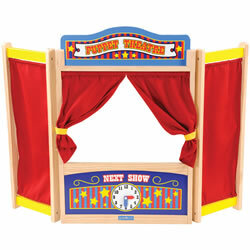 You can also use a dramatic play learning center to help teach children about other countries, cultures, and customs. 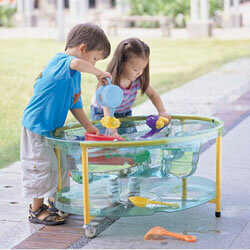 A sand and water learning center encourages children to participate in sensory play. Children can learn about sand and water and learn to share with others as they play in the learning center. Including sand and water play sets in the learning center can also help broaden children's sensory play experiences and encourage creativity as they use sand and water to explore their senses. Also known as a discovery or exploration center, a nature and science center brings the outdoors indoors and gives children opportunities to explore nature and science concepts. Including a weather station in this learning center would also give children a way to actively learn about the weather and climate in their community and make observations about daily changes they see in the weather. Using a nature and science learning center to help foster a strong connection with and understanding of the environment in children can only be beneficial to everyone's future. Including a music and movement center in your preschool classroom encourages children to be physically active and gives them opportunities to experiment with sound and music. A music and movement center can also promote self-expression, foster creativity, and help children relax. 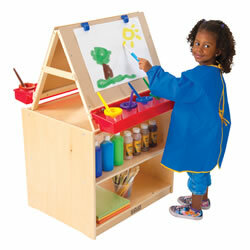 Movement props aid creative expression and offer additional fun activities for children in the learning center. A math and manipulatives center can help children further develop their fine motor skills and better understand beginning math concepts. Children can also practice their problem-solving skills and improve their hand-eye coordination by sorting counters and participating in other similar activities. A math and manipulative center can help children have a more positive relationship with math, which may influence their education and career choices later in life. 3 years & up. 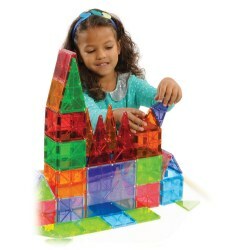 These magnetic tiles teach spatial relationships, math, logic, and problem-solving through creative building! The tiles attract on all sides and in all combinations, helping children move from two-dimensional to three-dimensional creations. Unbreakable set contains 50 Small Squares, 4 Large Squares, 15 Isosceles Triangles, 11 Right Triangles and 20 Equilateral Triangles.